Leaders do not compel people to follow; they inspire them to desire the same results as they do. Corporate leaders need to know their business, their customers, and have the ability to execute a strategy effectively. In the current era of fast paced change, leaders not only need to stay current with the trends in the industry, but also have the ability to predict the future trends as well. Building relationships is clearly important since at the heart of all businesses is people. The ability of relating to others is what helps in executing their strategy. Good relationships with employees, customers, and suppliers, can be the differentiator between great leaders and others. Communication skill is often taken for granted, as most people believe that they are good at making presentations or speaking in public. Communication skill is not just one way information dissemination, it really is all about the ability to listen, and plan and act such that people know that they have been heard. Leaders often need to take some tough decisions. Often such decisions would be accepted, if there is proper explanation of why it is being taken. The context of leadership has changed dramatically in recent times. In the current situation, customers are harder to find, even harder to retain; profit margins are lesser; employees are overworked and stressed. As a result, leaders need to handle themselves in this complex and challenging environment. This means leaders have to be highly self- aware, display high empathy, and be active listeners; to be able to effectively lead. 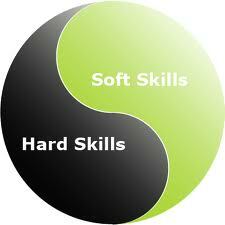 These soft skills often collectively termed “Emotional Intelligence” are very important to a growing organization. Good communication skills, thus requires one to be a good listener and being able to articulate. Creating an environment of trust and respect really has many things tied in. It leans a lot towards values – not just stated – but practiced. Being approachable and friendly is the starting point that helps breed trust and respect. Balancing tasks vs. results based on others’ feelings becomes important. Establishing values and living them become extremely important too. It is said that a leader’s actions are always amplified, thus walking the talk becomes very critical to the success of a leader. Creating an environment of trust and respect means a leader must actively demonstrate trust and respect in every interaction with employees, customers, suppliers and shareholders. These soft skills would enable leaders walking their talk which is so critical to great leadership, that we could term these as “core” skills or “hard” skills of a leader. This entry was posted in Business Effectiveness, Leadership Development and tagged communication, Leadership, relationships, soft skills on May 6, 2014 by blogconcept2competence.